The youth did what they could, hauling jerrycan after jerrycan. In the end, it simply wasn’t enough. 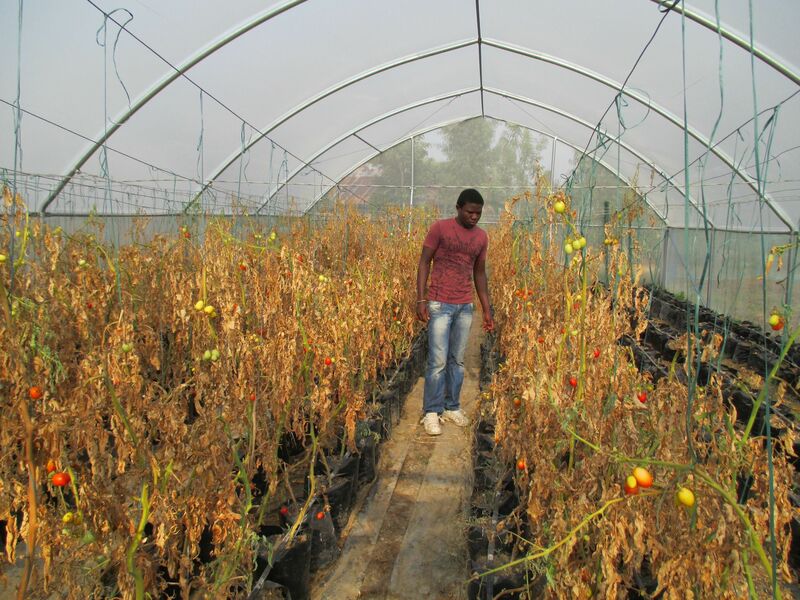 We had to shut down both greenhouses. The harvest in the first greenhouse was almost over anyway, but the second one had really just started to be fully productive. Sales were going well, so it was particularly sad and frustrating. 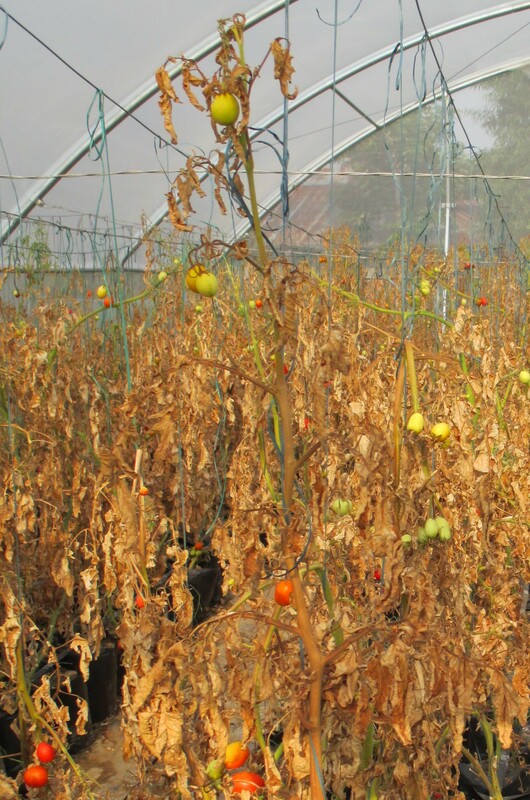 The fruit dried up on the plants. It’s just not possible to carry 1,200 litres per day per greenhouse in jerrycans. Joshua was at a meeting of the village elders and the water company. It looks like water provision is not going to be reliable in the coming years. The infrastructure dates from 1978; since then many houses have been linked to the same main pipe, the system is totally overloaded. On top of that, a pump has broken down, so now nothing works anymore. That is why TULEE decided to drill our own borehole. This would also give us the opportunity to start our second income-generating project: Selling water to individuals and marketers (the so-called water boys, who deliver a dozen 20-litre-jerrycans with handcarts). It is a simple, but promising business model. The whole area lacks water, all pipes have run dry. The expert survey (“hydrogeological survey”), which we had done a week ago through a Kenyan company called Geospa, has turned out very positive. They found water 120 m below ground. The plan is to pump it up with an electrical pump and store it in a 5,000-litre-tank. We already have an offer for drilling, electricals and piping and are trying to get some competitive quotations. 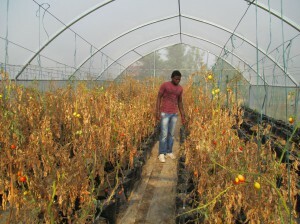 And then we will kick off a second round with the tomatoes in the greenhouses – definitely! !